It is very common to break a key inside the lock. As a matter of fact, there are many reasons why you may need a broken key removal service. In the first place, a broken key task can be very tricky. One way it looks like it can be pull out easily, but in another way, you can jam the key inside the lock. A great risk is to push the broken key deep in and jam it inside the cylinder. You may need a special tools and experience to remove a broken key out of the lock cylinder. As deeper the broken key is inside the lock, as harder it is to pull out of lock. It’s important to realize that you can make a further damage to the lock, so it can be damaged beyond repair. Breaking a key inside a lock, especially in a rash time can be very frustrating. A broken key can also get you locked out of your home. You woke up early to be able to go to your office and finish an important work on time. But suddenly it hits you when you wanted to start you car, inserted the key inside the ignition. Another example is when you want to unlock the main door of your office or your home. You can never expect a broken key incident to happen because it can happen from a tiny crack on your key or a frozen lock in the winter. As a matter of fact, when your key is break inside the lock, the better thing to do is to call us. Do not think this is matter if you broke the key of your car in Allentown or Easton. And another hing to remember is no matter if you broke to key to your car, house, or business. We can help. A broken key removal service is only one for call away, made it easy on you. We have the professional locksmith tools and professional locksmith kits to get the broken key out of your lock. Our professional locksmiths can get your key out and provide you with a new key. Don’t deal with this problem by yourself as you probably don’t want to damage the lock. 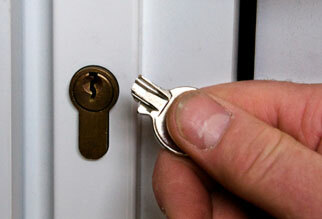 The best option is to call our locksmiths for help. We’re available 24hr a day, 7 days a week to provide emergency locksmith services out of the daily working hours. We care about you and your safety. If you need to remove a broken key from the lock of your vehicle, home, or your office, don’t hesitate to call us.